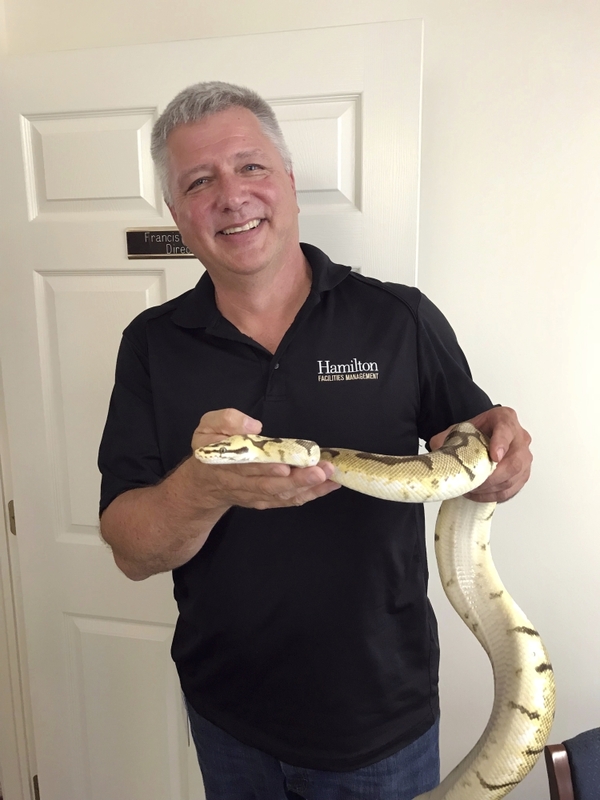 A college student in central New York has to collect a 5-foot (1.5-meter)-long boa constrictor from a local wildlife center after a fellow student found the pet reptile hiding behind her dorm room refrigerator. Syracuse.com reports that a student at Hamilton College found the snake Tuesday and called campus safety for help. Campus Safety Director Francis Coots says it turns out the snake is owned by another student, who kept it in a plastic tote. Coots says having an animal other than a service animal is against campus rules, and the student could face disciplinary charges. The boa was turned over to the Woodhaven Wildlife Center in Chadwicks, where the owner plans to collect it. The snake will then go to live with the student’s parents.